Full measurement survey and BIM-ready models of a large thriving commercial estate in the heart of London. Broadgate is a large thriving commercial estate in the City of London where more than 30,000 people work. There is a mixture of office space combined with shops, bars and restaurants and the iconic Broadgate Arena which housed the first UK commercial outdoor ice rink. In relation to a face lift of the retail and leisure areas of Broadgate Arena, Plowman Craven was commissioned to provide full measurement surveys and BIM-ready models – structural, architectural and MEP – as a Revit deliverable to assist in the design proposals for the site. 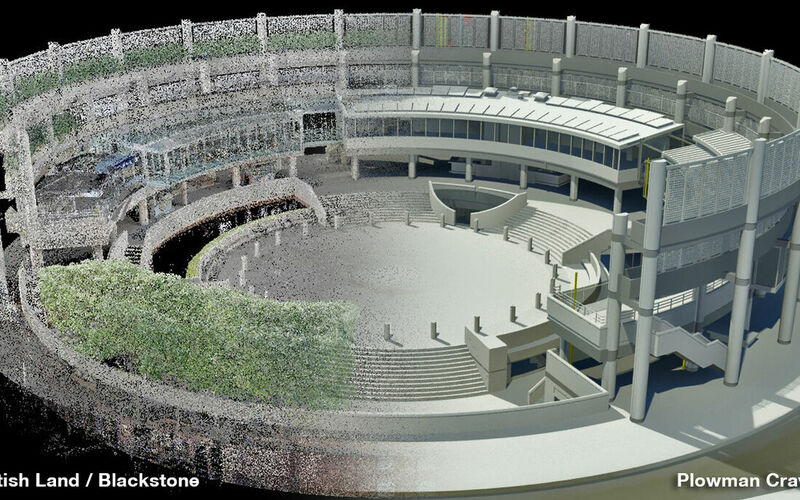 Every element of the Arena was laser scanned to produce point cloud data. This included the basement plant rooms, shops, restaurants and the external façade of the arena including 3 Broadgate and surrounding buildings. A full geometric survey network was established to control the laser scan data which provided the ability to incorporate additional information. In collaboration with Arup Associates a structural model was supplied to Plowman Craven and verified against the scan data. A separate architectural model was created to the required detail. An important requirement was the Revit MEP model. In order to make this as complete as possible, considerable additional laser scan positions were necessary at differing heights. Innovative solutions to collect the data ranged from extended tripods to inverted scanners. All ducting, piping and cable runs were identified and shown in the model. Underground services were also surveyed and implemented into the MEP model, and a complete as-built BIM-ready model was delivered. The models provided the client with the platform for the BIM process going forward. 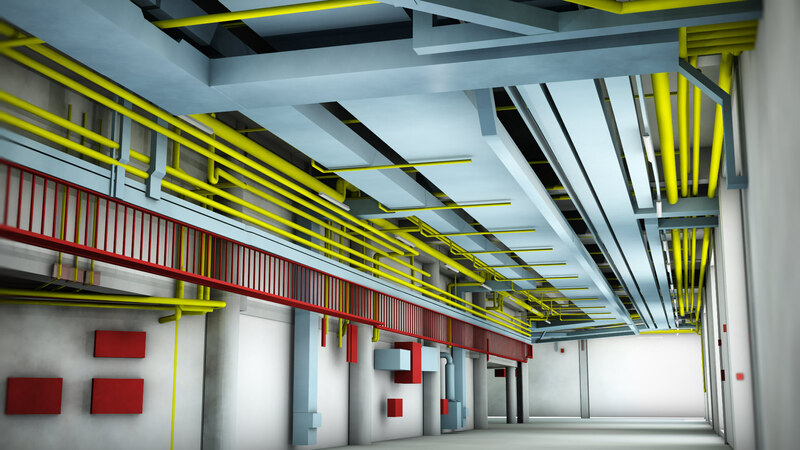 Key to the success of the project was the ability of our in-house BIM specialists to understand exactly each stakeholder’s expectations for the models and it was important to establish clear requirements and a comprehensive specification right from the onset. The legacy of the models and laser scan data can now be relied upon as the redevelopment project progresses.